Watching musicals at the theatre is one of my favourite ways to spend an evening and my iPod is jam packed full of musicals soundtracks (and very little else), so this tag (seen over at Cocktails and Teacups) is just my thing. If you’re a fan of musical theatre too why not take part in the tag (and maybe leave me a link to your post so I can read your answers), or if you don’t have a blog, just leave me some of your musical-related comments below. Just a small selection of the programmes from all the shows I’ve seen! 1. What was the first musical you ever saw? My grandma took us to see Joseph and the Amazing Technicolour Dreamcoat in Blackpool when I was 11 and Aled Jones was playing the lead role. I thought it was the best thing ever and was obsessed with that one show for quite some time before I realised there were so many more musicals out there! 2. What was your favourite musical growing up? Les Miserables – I loved it from the first time I saw it (I was about 13) and I’m still a huge fan. 3. Were you ever in a musical? Yes and plenty of them. I’ve been in at least one amateur musical a year for the past 14 years, including classics (like Oliver! and Carousel), the underrated (Children of Eden, Half a Sixpence), modern classics (Jesus Christ Superstar, West Side Story) and many more. 4. What was the first musical you saw on Broadway? Sadly I’ve never been to NYC so seeing a Broadway show is still on my bucket list. I’ve seen plenty in the West End though, and the first of these was the Lion King. 5. If you could be any female character in any musical who would you be and why? Millie from Thoroughly Modern Millie. She’s cute, fun, finds true love and has some amazing songs to sing. Plus…there’s tap dancing. 6. Which male character? Billy Elliot for the dancing. 7. Favourite musical song to sing in the shower? Hauntingly pretty ones that suit an echoey bathroom – such as those from Ghost. 8. Who is your favourite theatre actress? I love Sutton Foster. She’s played all the roles I’d most love to play! 9. Actor? Aaron Tveit – I’d have loved to have seen him in Catch Me If You Can. The soundtrack sounds amazing and it’s a shame it didn’t have a longer run. Plus, he’s great as Enjolras in the film version of Les Miserables. 10. Favorite film adaptation of a musical? I don’t particularly like film adaptations – I’d rather see a recording of the show on stage to be honest as I think they lose something in translation to film (so I’m glad to hear that more stage shows are being recorded for cinema showings). But saying that I think they did a good job with Mamma Mia – it’s not a show I’d ever be interested in seeing on stage but the film got my attention with that amazing Greek scenery. 11. What do you think is most underrated musical? Spamalot. The cast is great and you can tell they have an amazing time. It’s not overlong and it’s very funny, and even though I’ve seen it more than once I didn’t get bored at any point. That’s the sign of a great show. Plus there are some seriously catchy tunes in the show! 12. Overrated musical? Surprisingly I’m going to say South Pacific because I do love the music in this show, but if you’ve ever tried to watch the show from start to finish you’ll know that it has some extremely slow-moving scenes and ends up being a bit of a drag. 13. What musical made you cry? I cry at every sad point in every musical as I’m very emotionally predicatable. But the most I ever cry at any musical is Carousel. I cannot watch that show without crying all the way through, so now I just steer well clear! 14. What musical made you laugh? I laugh at them all, but recently I was pleasantly surprised by Dirty Rotten Scoundrels (opened recently in the West End). I’d never seen the film so didn’t know what to expect and it was hilarious! 15. Are there any musicals you saw and hated? Because I love musical theatre so much I can generally find the good in most shows. Even a badly written show can end up being a good production if there’s a great director, choreographer and cast! Some musicals are much better than others though, and one I’m really not keen on is Fame. The story is very confusing as it’s supposed to take place over 5 years but this is really unclear, and it’s not even got any outstanding songs to redeem it. 16. What musical do you want to see as a film? As in question 10 – I’d rather see recordings of the shows on stage. I’m very excited to hear that Billy Elliot is being filmed for a cinema showing, as this would have been my top choice! 17. 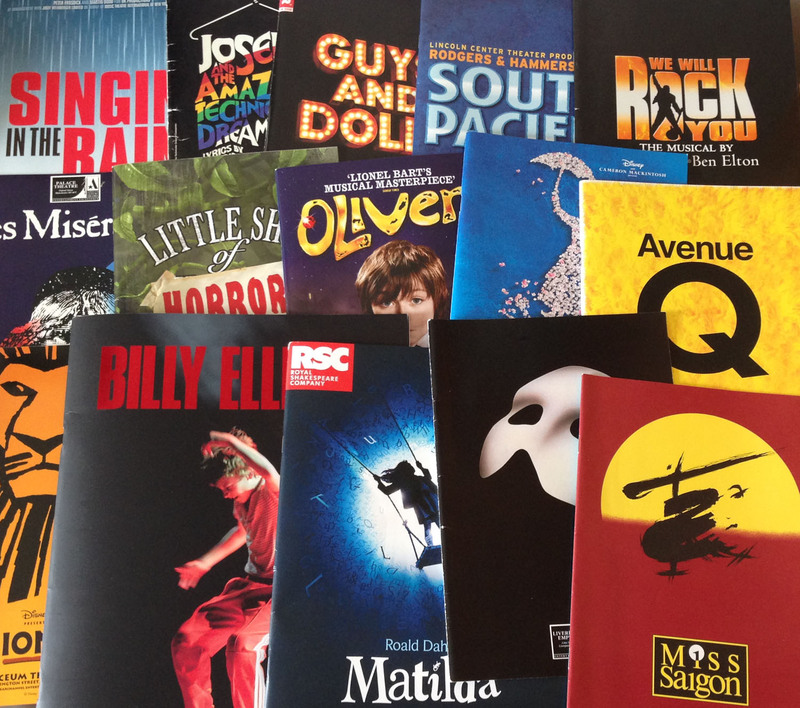 Which musicals are you dying to see? Book of Mormon, and also Jersey Boys and Barnum when they tour the UK this year. 18. Any movie or book you think should be turned into a musical? Something piratey. I love musicals and I love pirates and the two don’t combine enough. I want proper Disney-style pirates though (nothing too brutal or bleak) so Pirates of the Caribbean the Musical would be amazing! 19. What is your all-time favourite musical? This depends on my mood, but they have to stand the test of time (because it didn’t take long for me to get bored of Wicked and Rent). Ones I never tire of are those with amazing emotional scores that I can just listen to over and over, like Jesus Christ Superstar, Billy Elliot and Chess (even though it’s quite boring on stage). Pingback: The Musical Theatre Tag | From the end of bag.